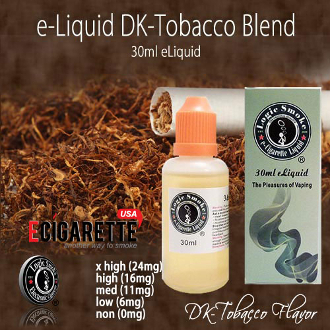 Our DK Tab vapor cigarette liquid from Logic Smoke is a popular tobacco flavor for vapers everywhere. It is a midlevel flavor with smooth undertones and is a welcome vape for anyone who enjoys tobacco flavors. Pick up a bottle of our DK Tab E-liquid and enjoy.